With Sean Aiken, author of the One Week Job Project. Taking his father’s advice to heart, Sean created the One-Week Job Project. His goal: to work fifty-two jobs in fifty-two weeks in search of his passion. When did you start to market and promote your book? A couple of months before publication date. What online methods have you used to market your book? Which online methods have you found to be the most effective? Which online methods have you found to be the least effective? What offline methods have you used to market your book? Which offline methods have you found to be the most effective? Which offline methods have you found to be the least effective? What will you do differently when you market your next book? Begin developing a relationship with readers a year in advance through blog posts and updates. Continually engage them, so when the book is published, they are ready and willing to fully support you. Buy the One Week Job Project Now! 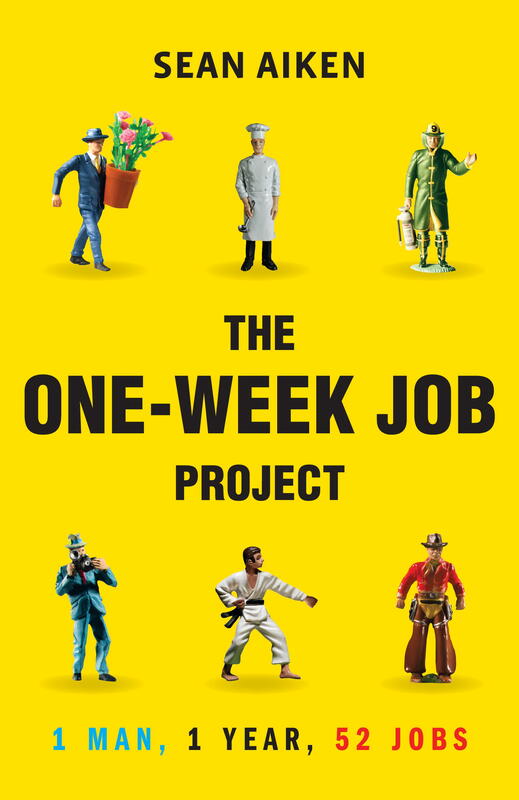 You can pick up the One Week Job Project at Amazon and Chapters. Sean Aiken was born in 1981 and grew up in Port Moody, BC. He graduated from Capilano College in North Vancouver with a degree in Business Administration in 2005, and was voted Class Valedictorian. His adventures have been broadcast on Canadian and international television, and are documented on his popular website http://oneweekjob.com. Ian is the author of several books including Your Great Awakening. He loves to help people unleash the power within them and has a popular Personal Development blog that you can also check out. This entry was posted in Book Marketing Case Studies, Book Marketing Insider Secrets and tagged Book Marketing, case study, one week job project, publicity, sean aiken. Bookmark the permalink.